I highly recommend this to everyone who is old enough to comprehend it. That age will be different for every individual I imagine. I am a science teacher in Australia and I strongly feel that critical thinking should be explicitly taught in the science syllabus (prior to the senior years). 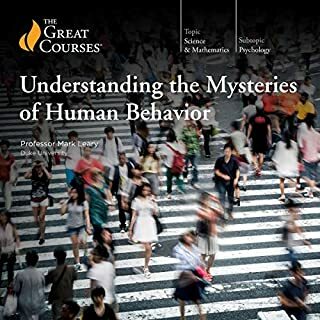 Highly recomended for 1st yearPsychology students. 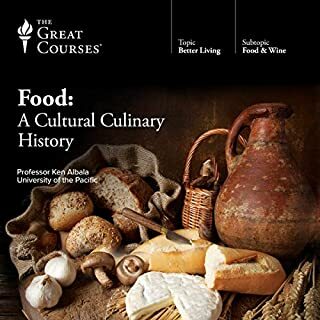 Most of The Great Courses provided by Audible, contain valuable and indepth material. 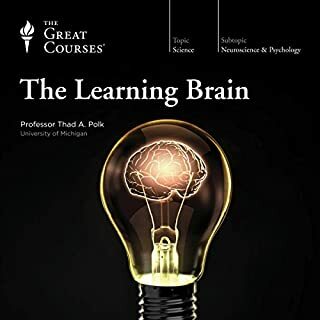 I just wished I had listened to this particular course prior to my first year studying Psychology at University. Critical thinking plays a major role in the field of science, and much of what can be gathered in this lecture will prepare you for life at university. 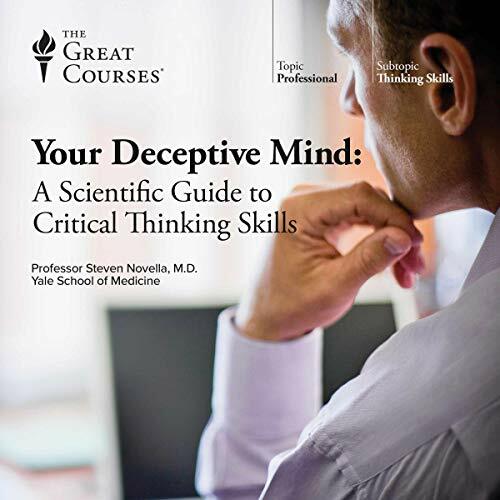 Professor Steven Novella is an amazing lecturer, elaborating on real world applications of critical thinking that can appeal to just about everyone. Loved It. I keep a copy on every device. Should be compulsory for all students and educated laymen. Great "cognitive fine tuning". This lecture series exceeded my expectations, and I was already expecting something good and interesting. 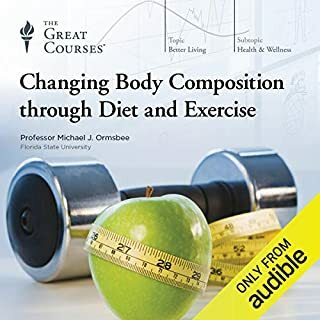 Everyone needs to listen to this audiobook! 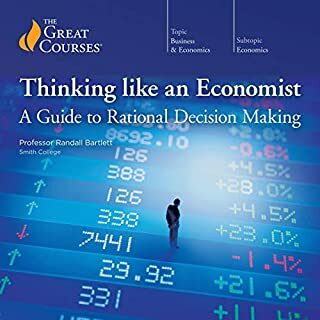 I was familiar with several of the concepts and examples brought up, and I've taken classes on critical thinking before, but I still got so much out of it. It was a great refresher on cognitive biases, logical fallacies, and research standards. I learned some things about how the brain works that I didn't know before. The lectures are well organized and presented with relevant examples for every topic, so it was easy to follow and understand. I think everyone can get something out of this book. It can answer questions you've probably had about why people do things and think the way they do. It can also help you learn to analyze the world better, and think more critically about your own thoughts and beliefs. 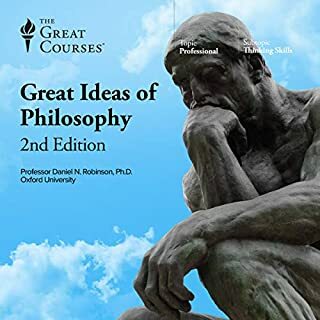 To get the most out of this audiobook, I'd recommend listening to one chapter at a time and then spending some time to absorb the information and apply it to what you see in your life or in yourself before listening to the next. I love listening to these lectures and have done so on several occasions. The only thing that bugs me is the story about the tiger in Africa. Was that meant to deceive my mind? It should be called "Common Conspiracy Theories Repeated"
I found this book very basic and repedative. The content focussed on how to spot and rebuke conspiracy theories and other unproven or poorly constructed arguments or ideas. The author repeatedly used the same or very similar, weak conspiracy theories to demonstrate the method by which a theory or false information could be refuted. In many instances a couple of examples were used in place of actual guided critical thinking skill procedures and actual theory with valuable content. In all, too basic and I don't believe the content is anything more than common sense. The first part of the course is brilliant and very engaging. The latter part is course is a little too focused on medical science, and a little too much of the lecturers opinions. More on marketing and advertising would have been nice. These lectures should be mandatory for everyone. For me, it resolved some cognitive dissonance I experienced observing the world around me.